Barnes & Noble Promotes Demos Parneros to Chief Executive Officer | Barnes & Noble Inc.
NEW YORK--(BUSINESS WIRE)-- Barnes & Noble, Inc. (NYSE:BKS), today announced the promotion of Demos Parneros to Chief Executive Officer and a member of the Company's Board of Directors, effective immediately. Commensurate with the appointment of Mr. Parneros, Leonard Riggio will step down as CEO and remain Chairman of the Board of Directors. "It has become abundantly clear over the last five months that Demos is a perfect fit for our Company and an outstanding choice for Chief Executive Officer," said Leonard Riggio. "He is highly respected by our Board of Directors and our leadership team, and I believe Demos is fully prepared to help foster a new era of growth for Barnes & Noble." Mr. Parneros has been Chief Operating Officer of Barnes & Noble since November 2016. He joined the Company with 30 years of leadership experience in all aspects of retail management, including operations, human resources, merchandising, e-commerce, marketing and real estate. 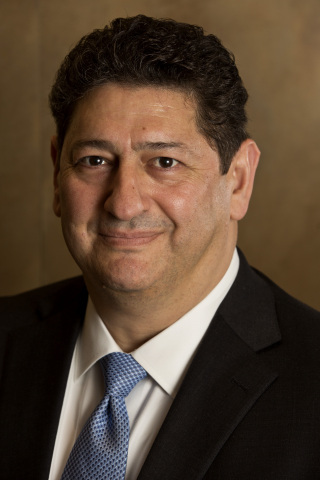 Prior to joining the Company, Mr. Parneros served as President, North American Stores & Online at Staples, Inc. He joined Staples in 1987 as a General Manager and worked his way up the ranks through multiple management positions, including Senior Vice President Mid-Atlantic Operations, President, US Stores, President, US Retail, and President North American Stores & Online, where he was responsible for a team of 50,000 associates and 1,800 stores and Staples' online business. Mr. Parneros has been a director of KeyCorp since January 2014 and a director at Modell's Sporting Goods since July 2009. He received his B.S. from New York University and graduated from Harvard Business School's Advanced Management Program. He can be found on the following social media platforms: Facebook, Instagram and Twitter. Barnes & Noble, Inc. (NYSE:BKS) is a Fortune 500 company, the nation's largest retail bookseller, and a leading retailer of content, digital media and educational products. The Company operates 634 Barnes & Noble bookstores in 50 states, and one of the Web's premier e-commerce sites, BN.com (www.bn.com). The Nook Digital business offers a lineup of popular NOOK® tablets and eReaders and an expansive collection of digital reading and entertainment content through the NOOK Store®. The NOOK Store features more than 4.5 million digital books in the US (www.nook.com), plus periodicals and comics, and offers the ability to enjoy content across a wide array of popular devices through Free NOOK Reading Apps™ available for Android™, iOS® and Windows®.